Dear oh dear. 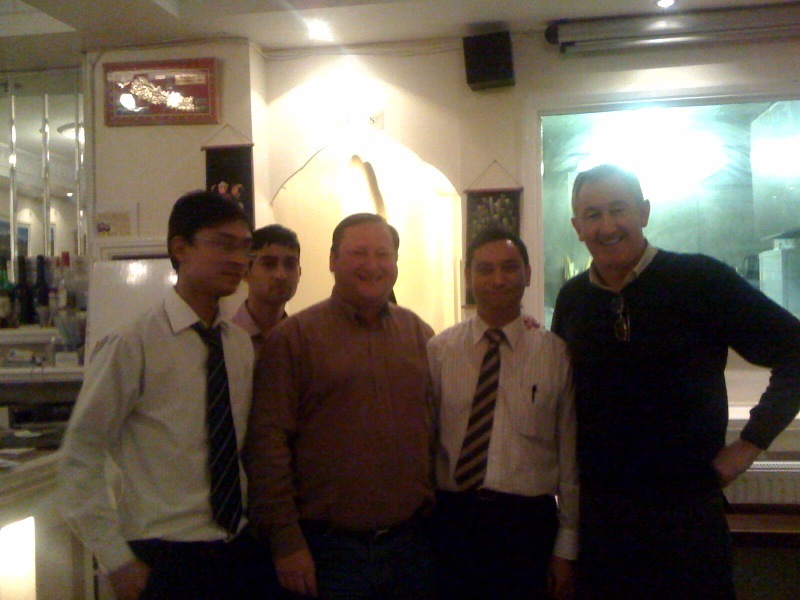 Now the GCC eaters have taken to posing with the staff (here at the Gurkha Inn). The GCC are the two with big grins on their faces. But what, we must ask have they done to upset the staff at this lovely restaurant? And why has management sent the Enforcer (the guy at the back) to ensure everything ran smoothly in the photo. We don’t want to upset him.